The United States and its European allies – the old imperialists and the new – tell their countries’ populations that Iran is isolated in the world, and will have to get rid of its nuclear energy infrastructure in order to be allowed back into what they call “the community of nations.” Among the power groupies that call themselves journalists in the West, Iran is routinely referred to as a “pariah” nation, lurking at the very edge of civilization and sanity. The United States, by this reasoning, is showing great wisdom and forbearance, for not having already unleashed its carrier task forces, Marine divisions, Special Forces commandos, and swarms of drones on the crazed Iranians. Instead, the U.S., in it infinite goodness, enforces a strangling economic and oil embargo, to make the Iranian nation scream. The Iranians are lucky, Americans and Europeans are told, that the U.S. holds back its friends in Israel, who are eager to give the ayatollah’s in Tehran a lesson in how to behave. But, whatever happens at the end of this game to force Iran to give up its lawful right to own and operate the full industrial cycle of nuclear power, western audiences are assured that the “international community” will approve. After all, Iran is a global outcast. CNN and the New York Times tell us so every day. Last week, the 120 nations of the Nonaligned Movement voted unanimously and without qualification in support of Iran’s right to produce nuclear energy, and to enrich their own uranium in the process. The Nonaligned Movement makes up about two-thirds of all the nations of the world. As a solid block of humanity, they rejected the dictates of Washington and London and Paris – the imperial powers that for centuries enslaved most of the planet – endorsing the fundamental principle that Iran has the same sovereign rights as any other nation. Who, then, is isolated in the world – Iran, whose position is backed by two-thirds of the world’s countries, or the U.S. and Europe? Clearly, the Americans and Europeans still believe that the only world opinion that counts, is the white world. The arrogance of the colonizer and imperialist is infinite, but their power is not – not any longer. The Nonaligned Movement vote is a global referendum, not on Iran’s lawful pursuit of its internal development policies, but on U.S. imperial bullying and criminality. Because, if Iran is within its rights, then the U.S. and the European Union are in the wrong in waging economic war, and threatening military assault, against Iran. Someone is committing a crime, and its not Iran. Two-thirds of the world says so. The vote is all the more remarkable because the Americans and Europeans, and even the Israelis, exercise great influence over the affairs of much of what used to be called the Third World. Yet still, the former colonies and subjugated nations of the Nonaligned Movement voted unanimously, and on principle, rather than kowtow to power. There is a lesson here. The Empire remains militarily strong and capable of great crimes. But it has lost much of its powers of coercion – without which, Empire must ultimately cease to exist. Most people don’t want to be a perceived as party-poopers – which is why the principled folks that have protested the evil antics of the corporate, imperial parties, in Tampa and Charlotte, are so much to be admired. Frankly, who wants to be the one to point out, in the middle of the festivities, that Michelle Obama was just a Chicago Daley machine hack lawyer who was rewarded with a quarter million dollar a year job of neutralizing community complaints against the omnivorous University of Chicago Hospitals? She resigned from her $50,000 seat on the board of directors of Tree-House Foods, a major Wal-Mart supplier, early in her husband’s presidential campaign. But, once in the White House, the First Lady quickly returned to flaking for Wal-Mart, praising the anti-union “death star” behemoth’s inner city groceries offensive as part of her White House healthy foods booster duties. She also serves on the board of the Chicago Council on Global Affairs, the corporate foreign policy outfit to which her husband dutifully reported, each year, in his pucker-up to the presidency. The Obama’s are a global capital-loving couple, two cynical lawyers on hire to the wealthiest and the ghastliest. They are no nicer or nastier than the Romneys and the Ryans, although the man of the house bombs babies and keeps a kill list. Yet, former “green jobs” czar Van Jones, a convention night chatterer on CNN who was fired by Obama for no good reason, chokes up when he speaks of the Black family that fronts for America – a huge act of national camouflage. George Bush could not have pulled off such an evisceration of the Bill of Rights, if only because the Democrats and an aroused street would not have allowed it. Bush knew better than to mount a full-court legislative assault on habeas corpus, and instead simply asserted that preventive detention is inherent in the powers of the presidency during times of war. It was left to Obama to pass actual legislation nullifying domestic rule of law – with no serious Democratic opposition. Obama “led from behind” a 7-month Euro-American air and proxy ground war against the sovereign nation of Libya, culminating in the murder, after many attempts, of the nation’s leader. The president informed Congress that the military operation was not subject to the War Powers Act, because it had not been a “war” at all, since no Americans were known to have been killed. The doctrine was thus established – again, with little Democratic opposition – that wars are defined by the extent of U.S. casualties, no matter how many thousands of foreigners are slaughtered. Obama’s drone war policies, greatly expanded from that inherited from Bush, have vastly undermined accepted standards of international law. This president reserves the right to strike against non-state targets anywhere in the world, with whatever technical means at his disposal, without regard to the imminence of threat to the United States. The doctrine constitutes an ongoing war against peace – the highest of all crimes, now an everyday practice of the U.S. The Obama administration, with the Federal Reserve functioning as a component of the executive branch, has funneled at least $16 trillion to domestic and international banking institutions, much of it through a virtually “free money” policy that could well become permanent. This ongoing “rescue” of finance capital is unprecedented in sheer scope and in the blurring of lines between Wall Street and the State. The routine transfer of multi-billions in securities and debts and assets of all kinds between the U.S. Treasury, the Federal Reserve and corporate accounts, has created de facto structures of governance that may be described as institutional forms of fascism. These are world-shaking works of Obama-ism. Even Obama’s “lesser” crimes are astounding: his early calls for austerity and entitlement-axing (two weeks before his inauguration) and determined pursuit of a Grand Accommodation with the GOP (a $4 trillion deal that the Republicans rejected, in the summer of 2011) reveal a politician intent on ushering in a smoother, more rational corporate hegemony over a thoroughly pacified civil society. Part and parcel of that pacification is the de-professionalization of teaching – an ambition far beyond de-unionization. Of course, Obama begins with the delegitimization of Black struggle, as in his 2004 Democratic Convention speech (”…there is no Black America…only the United States of America.”) To the extent that the nation’s most progressive, anti-war constituency can be neutralized, all of Obama’s corporate and military goals become more doable. The key to understanding America has always been race. 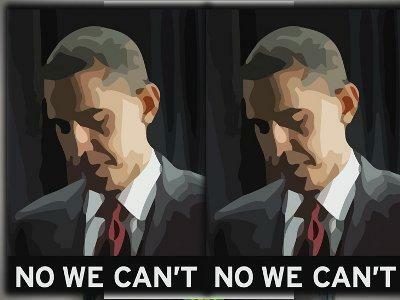 With Obama, the corporate rulers have found the key that fits their needs at a time of (terminal) crisis. He is the more effective evil. The British High Court has chosen to support the government rather than justice seekers by blocking calls for an official inquiry into British troops’ carnage of 24 Malaysian plantation workers in December 1948. Relatives of the victims who wanted to challenge the government’s decision not to conduct an investigation into the massacre at Batang Kali said the killings are a “blot on British colonization and decolonization” and blasted the court for failing to order an inquiry despite presence of adequate evidence to justify one. Judge Sir John Thomas said he sees “no grounds” for “disturbing” the decision by Foreign Secretary William Hague and Defense Secretary Philip Hammond to oppose the relatives’ demand for an inquiry. The killings happened during the Anti-British National Liberation War led by Malayan fighters against British colonizers that killed 2,478 civilians. “We are appealing. As long as the injustice remains, the families will be pursuing legal action,” said solicitor John Halford, who represents the victims’ relatives. The impoverishment of politics in the Age of Obama has been nothing short of amazing. This president has so suppressed every vestigial remnant of progressivism in the political discourse, that the most fundamental bread and butter issues have become taboo. I’m talking about raising the federal minimum wage, which has been stuck at $7.25 an hour since 2007, the year before the bottom fell out of the economy. A new study shows that the Great Recession was most destructive of decent-paying jobs, the middle tier where working people earned between about $14 and $21 an hour. That’s where sixty percent of job losses occurred between 2008 and 2010, and most of those jobs have not come back. Instead, the greatest increase in jobs has come in the low-wage sector, with a median pay from $7.69 – just above the federal minimum – to $13.83 an hour. The lowest wage sector now accounts for almost 60 percent of job growth, with traditionally bad-paying jobs in food preparation and retail sales leading the way. High unemployment, on top of the disappearance of living wage jobs. You would think that in an election year, the party that is most identified with working people and folks that need to find work would be screaming at the top of their lungs: Raise the minimum wage! But, you will hear little or nothing of that from the Democratic convention festivities in Charlotte. It’s not that the delegates are unaware of the crying need for a higher minimum wage. The Democratic platform – for what its worth – declares that “we will raise the minimum wage, and index it to inflation.” However, it doesn’t say how much, or when. And that’s in deference to the party’s standard bearer, who has not said anything meaningful about the minimum wage since he was campaigning for president in 2008. Back then, Obama promised to work to raise the minimum to $9.50 by 2011. Then he got elected, and we heard nothing more about it. When the president is mum on an issue, then the party faithful put themselves on mute. There are bills in the House and the Senate to raise the minimum wage – the best one is sponsored by Chicago Congressman Jesse Jackson, Jr., calling for an immediate $10 an hour minimum, tied to inflation. But, there’s no chance of these bills going anywhere without the cooperation of Democratic leadership. Ralph Nader and others have beseeched party leaders to break the silence, but they don’t dare raise the issue for fear of embarrassing their President. Apologists for Obama will claim that pushing for a $10 minimum wage indexed to inflation – or any significant raise – would hurt his chances for re-election. But the poll numbers show differently, with huge public support for an increase, including among lots of Republicans. Even Mitt Romney says he supports linking the minimum wage to inflation – just not right now. Obama has effectively been saying “no, not now” to underpaid workers for almost four years. So, why in the hell is labor getting ready to spend tens of millions of dollars to re-elect him, instead of building a movement that will force politicians to do the right thing? 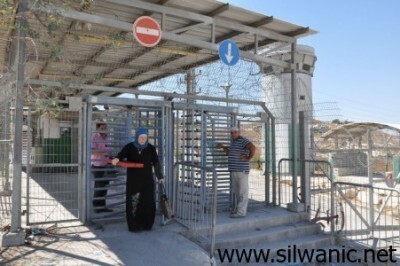 Silwan, Jerusalem – The Israeli Ministry of Defence has announced its plans to seal off one of two checkpoints through which the 65,000 Palestinian residents of Shuafat refugee camp can pass to enter Jerusalem. The extension of the Separation Wall and closing of the Ras Khamis checkpoint will occur in contravention to a 2008 High Court of Justice ruling that stated Shuafat Camp requires a total of eight pedestrian and four vehicle crossings before the checkpoint could be closed. The decision will affect not only Shuafat itself but three other villages crowded into the camp: Ras Shehada, Dahiyat al-Salaam and Ras Khamis. Twenty surveillance cameras were removed from the Ras Khamis border on Sunday, 26 August in preparation for its closing, which is expected to take place next Tuesday. The Separation Wall will then be extended to encircle the new border of Shuafat. The construction of the Wall is expected to further carve up the area, forcing locals to drive and walk through narrow streets, causing traffic congestion and impacting on trade. – William A. Cook is a Professor of English at the University of La Verne in southern California. His most recent book is Decade of Deceit, 2002-2012: Reflections on Palestine, published in June by Lambert Academic Publishing of Germany. Contact him at: wcook@laverne.edu. Chile’s Congress approved on Tuesday major changes in tax laws aimed to provide funds for an overhaul of the nation’s protest-hit schools, handing unpopular President Sebastian Piñera a welcome victory a month from municipal elections. The tax overhaul driven by Piñera’s conservative coalition will increase state revenue by some 1 billion dollars per year – about 0.4% of GDP in the world’s biggest copper producer. Businesses in Chile will face a higher tax rate of 20% and fewer loopholes to evade them, though the tax rate remains well below Latin America’s average rate of 25.06% in 2011, according to accountancy firm KPMG. Hefty tax cuts planned for the wealthiest were removed from the bill after months of jostling in Congress. Tax rates for lower income earners drop on a sliding scale. Billionaire Piñera, rated the most unpopular leader since the return of democracy in 1990, unveiled the proposed reform in April in response to massive student-led protests demanding free education and greater equality. While Chile has long been held up as an economic model in Latin America, it was rated the most unequal country of the 34-member-state Organization for Economic Cooperation and Development, or OECD. The reform is not expected to calm student protests for free and improved education. The approval of the tax lands right before local elections on Oct. 28, which will give an indication of how the right and the left – both struggling with low approval ratings – could fare in the 2013 presidential race. The reform could give his conservative bloc a small boost in next year’s presidential election, when leftist former President Michelle Bachelet is widely expected to try to stage a comeback. The fake press release was entitled New Zealanders for Boycotting Arab and Iranian Goods and identified itself further as News Release No. NR – 5,671 For Immediate distribution. The article libelled Scoop Independent News, Scoop’s journalist/activist, Julie Webb-Pullman as well as Leslie Bravery, compiler of the daily newsletter, In Occupied Palestine. Also defamed were Global Peace and Justice Auckland and the Palestine Human Rights Campaign. The badly written, semi-literate so-called press release mentioned other organisations which do not exist. The Zionist fantasy claimed that there is an organisation called New Zealanders for Boycotting Arab and Iranian Goods (NEZBAIG), which was also a lie. We, the defamed people and organisations named above appeal to all who value truth and justice to publicise the truth and expose the lies. At least five people have been killed in a fresh US assassination drone attack in the eastern Yemeni province of Hadramawt, a security official says. Three others were also wounded after a US drone fired two missiles at a house in the village of al-Ain on Wednesday. The house was completely flattened in the air strike. It was the third US drone attack in Hadramawt Province in the past two weeks. The latest attack comes a day after Yemeni President Abdrabuh Mansur Hadi ordered a probe into a recent US assassination drone strike in the central city of Radaa that killed more than a dozen civilians. On September 2 at least 13 civilians, including two women and a child, were killed and three others injured in the US drone attack in Radaa, just days after similar attacks claimed the lives of dozens of Yemenis in the south and east of the country. Shortly after the attack Radaa residents blocked main roads in the city to protest the deadly strike attack and demanded an end to US drone attacks. Washington has been using its assassination drones in Pakistan, Afghanistan, Yemen and Somalia and claims that it is targeting terrorists, but the attacks have mostly led to massive civilian deaths. The UN has slammed the US terror drone attacks as targeted killings and says they pose a challenge to international law. Reports, however, say that the CIA is seeking to expand its covert drone attacks in Yemen, despite the fact that the airstrikes mostly result in civilian casualties. The separatist Parti Quebecois has won Quebec’s regional elections and will form a new government there, once again raising the possibility of a referendum on independence being held in Canada’s French-speaking province. Canadian Broadcasting Corp and the Canadian Press reported that Parti Quebecois (PQ) won or were leading in nearly 60 districts, just short of the 63 needed for a majority government. The party’s leader, Pauline Marois, will replace head of the Liberal party, Jean Charest, as the province’s leader, becoming Quebec’s first female premier. Crowds of jubilant PQ followers, cheered and waved flags as election results indicated their party was heading back to power after nine years of Liberal Party rule. Should PQ win a majority it will make it easier for them to call a referendum on independence. Quebec has held two referendums in the past – one in 1980 and another in 1995- with the last narrowly rejecting independence from Canada. However PQ claim their short-term priority would be picking the economy up off its knees, instead of pushing for a separation vote straight away. “It’s very important for me to manage our finances responsibly. That is without doubt why our engagements are the least costly of all parties,” Pauline Marois earlier told Canadian media, while outlining a program that sets out new spending at $1 billion over a five year period. At the same time she stated that she would hold an independence vote “tomorrow morning” if the conditions were right. The long-ruling Liberal Party’s loss comes after months of student and union protests raging this spring and summer against tuition hikes in the province and the controversial new Bill 78, which restricts mass gatherings in the province. Tens of thousands of students have made their outrage public by demonstrating and clashing with police, making headlines across the world. Protests began in February, resulting in about 2,500 arrests. Tuesday’s vote is seen by many as an echo of this public discontent.